The 4th largest phone manufacturer in the world, ZTE recently held a press event in Russia where it unveiled four new Android smartphones, namely, The ZTE Grand ERA, ZTE V790, ZTE V887 and ZTE V889. This smartphone, indeed is a sibling of the Grand Era (U895), an already released dual mode GSM/CDMA phone. It works only on GSM networks. It's sports a 4.5-inch 720p screen and is 8.6mm thick. There is a 8 MP Camera at the rear. It is powered by a 1.5 Ghz quad core processor. We could not get any info regarding the OS it would feature. The company also unveiled the Grand X LTE T82, which was announced several months ago. It's available in some countries already, but under a different name. It supports dual-band LTE connectivity, has a 4.3-inch screen and an 8MP camera which is capable of recording FullHD video. The ZTE V889M is a Dual SIM Android device. It's very compact with its 4-inch-ed screen. It features Android 4.0 OS and is powered by a 1GHz dual-core MTK 6577 chipset and has a 5MP camera with 720p video recording. It is also reported that the device is real power efficient as it allows 450 hours of standby with 1 SIM and 180 hours with 2 SIMs. The battery would provide 8 hours of continuous use for either web browsing or video playback. The smartphone did not grab much attention. It has a 5 inch screen which is just WVGA in resolution. The device is equipped with has a 5MP camera, a 1Ghz dual-core chipset and a 2000mAh battery. The ZTE V790 is the most basic Android smartphone in the lineup. It is a dual SIM Android Smartphone. It sports a 3.5 inch-ed screen and is powered by a Qualcomm 7225A chipset. There might be a 2 MP or a 3 MP Camera at the rear. 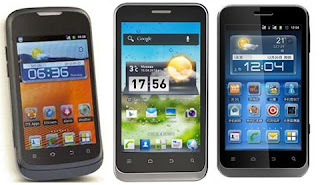 0 Respones to "ZTE Unveils 4 new Android Smartphones"